Since our creation in 1957, youth have been an important part of the Compagnons Bâtisseurs’s project. Coming from France or abroad, they volunteer for 6 to 12 months. 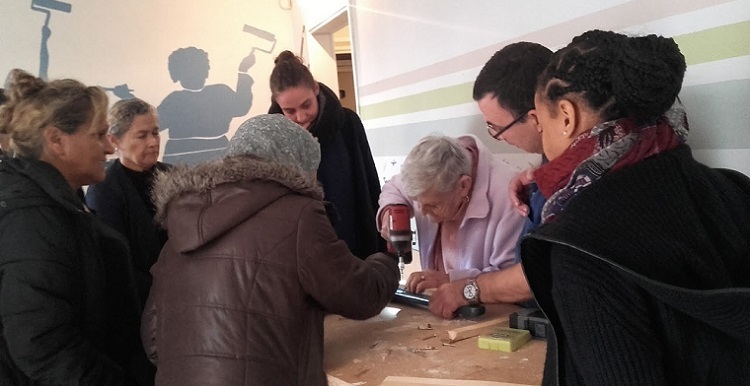 Alongside with the residents, the local volunteer and the others members of Compagnons Bâtisseurs, the young volunteers participate to our activities: renovation and construction sites, workshops, technical visits, etc. The volunteers also have the opportunity to participate in national and international projects (training or project abroad…). They can work as well on personal projects linked to the association (photo exhibition, testimony, video clip…). These missions are open to anyone without diplomas or qualifications requirements. Teams are mixed and are made from youths from everywhere and various horizons. Civic service: open to French and Europeans aged between 16 and 25 years old (up to 30 for people with disabilities). Get more information here. European Voluntary Service (EVS): open to foreign youngsters between 17 and 30 years old. Get more information here. If you want to join us, please contact us at: n.mesny@compagnonsbatisseurs.eu. Never mind your school level, only your motivation matters!